Don’t recommend advanced imaging (e.g., MRI) of the spine within the first six weeks in patients with non-specific acute low back pain in the absence of red flags. In the absence of red flags, advanced imaging within the first six weeks has not been found to improve outcomes, but does increase costs. Red flags include, but are not limited to: trauma history, unintentional weight loss, immunosuppression, history of cancer, intravenous drug use, steroid use, osteoporosis, age > 50, focal neurologic deficit and progression of symptoms. Don’t perform elective spinal injections without imaging guidance, unless contraindicated. Elective spinal injections, such as epidural steroid injections, should be performed under imaging guidance using fluoroscopy or CT with contrast enhancement (unless contraindicated) to ensure correct placement of the needle and to maximize diagnostic accuracy and therapeutic efficacy. Failure to use appropriate imaging may result in inappropriate placement of the medication, thereby decreasing the efficacy of the procedure and increasing the need for additional care. Don’t use Bone Morphogenetic Protein (rhBMP) for routine anterior cervical spine fusion surgery. Bone Morphogenic Protein is a compound which stimulates bone formation and healing. Life-threatening complications have been reported in the routine use of recombinant human rhBMP in anterior cervical spine fusion surgery, due to swelling of the soft tissues. This may lead to difficulty swallowing or pressure on the airway. Don’t use electromyography (EMG) and nerve conduction studies (NCS) to determine the cause of axial lumbar, thoracic or cervical spine pain. Electromyography and nerve conduction studies are measures of nerve and muscle function. They may be indicated when there is concern for a neurologic injury or disorder, such as the presence of leg or arm pain, numbness or weakness associated with compression of a spinal nerve. As spinal nerve injury is not a cause of neck, mid back or low back pain, EMG/NCS have not been found to be helpful in diagnosing the underlying causes of axial lumbar, thoracic and cervical spine pain. Don’t recommend bed rest for more than 48 hours when treating low back pain. In patients with low back pain, bed rest exceeding 48 hours in duration has not been shown to be of benefit. These items are provided solely for informational purposes and are not intended as a substitute for consultation with a medical professional. Patients with any specific questions about the items on this list or their individual situation should consult their physician. 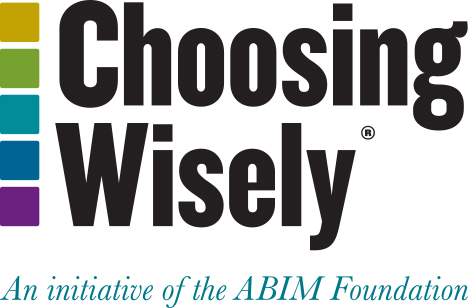 THIS CHOOSING WISELY DOCUMENT DOES NOT REPRESENT A “STANDARD OF CARE,” nor is it intended as a fixed treatment protocol. It is anticipated that there will be patients who will require less or more treatment than the average. It is also acknowledged that in atypical cases, treatment falling outside this recommendation list will sometimes be necessary. This document should not be seen as prescribing the type, frequency or duration of intervention. Treatment should be based on the individual patient’s need and physician’s professional judgment. This document is designed to function as a guide and should not be used as the sole reason for denial of treatment and services. This document is not intended to expand or restrict a health care provider’s scope of practice or to supersede applicable ethical standards or provisions of law, but to encourage discussion of these issues between physician and patient, encourage active patient participation in health care decision-making, and foster greater mutual understanding. NASS is a multidisciplinary medical organization dedicated to fostering the highest quality, evidence-based and ethical spine care by promoting education, research and advocacy. NASS is comprised of more than 7,500 members from several disciplines including orthopedic surgery, neurosurgery, physiatry, neurology, radiology, anesthesiology, research, physical therapy and other spine care professionals. For more information, visit www.spine.org and find NASS on: Facebook and Twitter. The North American Spine Society (NASS) appointed a multidisciplinary task force to identify five areas in which to make recommendations. Based on the scientific evidence, existing clinical practice recommendations and expert opinion, the task force collaboratively identified a draft list of nine recommendations that was subsequently submitted to the NASS Board of Directors for review and ranking. After further refinement, the final list was reviewed and approved by the NASS Board of Directors. NASS’ disclosure and conflict of interest policy can be found at: www.spine.org/Pages/WhoWeAre/MedicalProfessionalism/DisclosureIndustryRelationships.aspx. Chou R, Qaseem A, Snow V, Casey D, Cross JT Jr, Shekelle P, Owens DK; Clinical Efficacy Assessment Subcommittee of the American College of Physicians; American College of Physicians; American Pain Society Low Back Pain Guidelines Panel. Diagnosis and treatment of low back pain: a joint clinical practice guideline from the American College of Physicians and the American Pain Society. Ann Intern Med. 2007 Oct 2;147(7):478-91. Forseen S, Corey A. Clinical decision support and acute low back pain: evidence-based order sets. J Am Coll Radiol. 2012 Oct;9(10):704-12. NASS Evidence-Based Guideline: North American Spine Society (NASS). Diagnosis and treatment of degenerative lumbar spinal stenosis. Burr Ridge (IL): North American Spine Society (NASS); 2011. 104 p.
U.S. Food & Drug Administration. FDA public health notification: life-threatening complications associated with recombinant human bone morphogenetic protein in cervical spine fusion [Internet]. Silver Spring (MD): U.S. Food and Drug Administration; 2008 Jul 1 [updated 2013 Mar 21; cited 2013 Jul 19]. Available from: http://www.fda.gov/MedicalDevices/Safety/AlertsandNotices/PublicHealthNotifications/ucm062000.htm. Woo EJ. Recombinant human bone morphogenetic protein 2: adverse events reported to the Manufacturer and User Facility Device Experience database. Spine J. 2012 Oct;12(10):894-9. Sandoval AE. Electrodiagnostics for low back pain. Phys Med Rehabil Clin N Am. 2010 Nov; 21(4):767-76. Dahm KT, Brurberg KG, Jamtvedt G, Hagen KB. Advice to rest in bed versus advice to stay active for acute low-back pain and sciatica. Cochrane Database Syst Rev. 2010 Jun 16;(6):CD007612. North American Spine Society. Acute low back pain [Internet]. Blue Ridge (IL): North American Spine Society; 2009. [cited 2012 November 7]. Available from: http://www.knowyourback.org/Pages/SpinalConditions/LowBackPain/Acute.aspx.